Most people’s only experience of ferrets is with unsocialised animals who bite hard on fingers and are very difficult to handle. With good care, this does not need to be the case. Ferrets are naturally very friendly and inquisitive, and if handled frequently from an early age become as tame as any other pet. Visit our guide to keeping a pet ferret to learn about feeding, toilet-training, handling and housing. Ferrets should be vaccinated against canine distemper virus by your ferret vet. This is first given at three months of age, and then annually with a check up exam. Read our full advice at Flea and Parasite Protection for Ferrets. Ferrets are highly susceptible to the parasites of dogs and cats, which will cause serious disease or death if untreated. It’s is especially true for heartworm and fleas. They also suffer from a high incidence of ear mite infestation. It is simple and safe to prevent these diseases with the appropriate ongoing treatment. There is no animal more in need of desexing than the pet female ferret. If not desexed or mated, they exist in a permanent state of oestrus (heat) which eventually causes fatal anaemia. Desexing should be done no later than 4 months of age and is a regular procedure at our clinic. 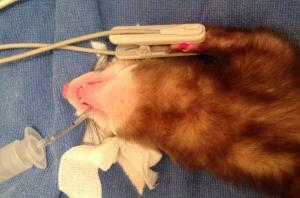 Read how we monitor ferret anaesthetics. Desexing is not essential for male ferrets but they are much more pleasant company. Before you book in your ferret for desexing, read our guides to What to do before a ferret is desexed. All ferrets should have a microchip implanted at some stage early in their life. Ferrets have a tendency to wander so a microchip implant will increase their chance of returning home. 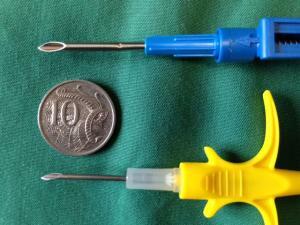 Microchipping can be performed in most ferrets without an anaesthetic but is often done at the same time as desexing. It is standard practice to place a “M” tattoo in the ear at the same time or with the next anaesthetic. However, a tattoo is not considered absolutely necessary.